I hope we empaths don't get overstimulated in the process, but my friends and I are going on a book tour together for my new book, Whose Stuff Is This? Finding Freedom from the Thoughts, Feelings, and Energy of Those Around You. It's not a typical book tour that drives all over town from one bookstore to another signing copies of the book. Instead, it is an online blog tour and you are cordially invited to come along with me as I drop by more than twenty blogs. At each stop, I will leave audio clips, video clips, written interviews, links to radio interviews, book excerpts, media releases, and content-rich articles. Visitors get to read something new each day as they follow the book tour from blog to blog. Los Angeles, California, February 10, 2011 – Mercy Books announces the release of its new book, years in the making – Proof of the Afterlife - The Conversation Continues. It’s a true story about one man's crossing over to the Other Side in September of 2005, when, after an out of control heart arrhythmia at 1:15am, he wakes up dead in the afterlife, and comes back thirty minutes later to tell about it. In the words of his family physician, "Dude, you have been somewhere very few people ever return from." Since that time, this book also chronicles his somewhat unusual daily life - one of frequent God-encounters, and visits from the other side by family and friends on a mission to facilitate love, mercy, forgiveness and reconciliation. Contact the author directly for media interviews and speaking engagements. Get your own personal copy of the book at http://www.servantsofthefather.org/buy_proof_of_the_afterlife . Come along for your own hope-filled journey into the reality of eternal life. Do you know people who are struggling with family, relationships, terminal illness or just life in general? This book will lead you to concrete, indisputable, life-changing and reassuring facts: God is real! He is alive and well, and in control. Your family and friends who have passed on are very much alive. They love you and are waiting for you to come home. 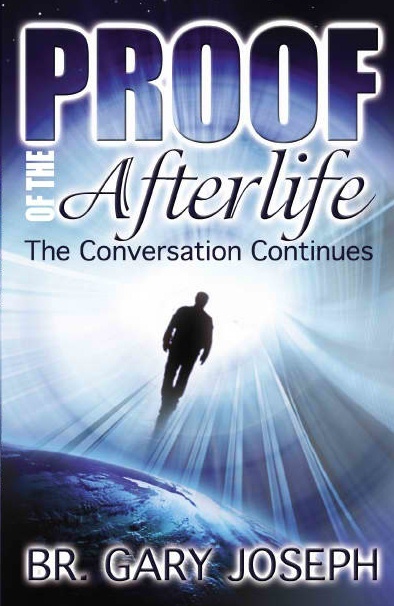 Cautionary Note: While reading Proof of the Afterlife – The Conversation Continues, God-encounters may be possible, weeping and grieving may occur, and peace may flood your soul. Uncontrollable laughter and joy may follow! All the proceeds of Mercy Books go to benefit the homeless in America. Contact the author today for media interviews and speaking engagements at Contact@ServantsoftheFather.org. The book retails for $19.95 and is available for direct customer ordering by calling 1-800-BookLog (266-5564) or on the Internet at http://www.servantsofthefather.org/buy_proof_of_the_afterlife. Beginning March 1, 2011, it will also be available at all Barnes and Noble Stores, BarnesandNoble.com as well as Amazon.com. Humans are connected in many ways: the air we breathe, our basic needs and physiology, and energetically/spiritually. No one feels the power of this connection more than the energy-sensitive people, known as empaths, who unknowingly pick up on the detrimental thoughts, feelings, and even the illnesses of others and their environment. Many carry this negativity as if it were their own. In fact, some empaths are so burdened with the energy of others, they are no longer aware of what their own energy feels like. Mysterious illnesses, anxiety attacks, hearing voices, seeing shadows, feeling negative, fearful, anger, or having an impending sense of dread,— you name it, they feel it. And most empathic people have no idea where this stuff is coming from. Yvonne is joined by psychotherapist Dr. Caron B. Goode, ED.D., NCC, DAPA to provide a fresh perspective on the psychological aspect of empathy and intuition. “Some of the characteristics that empaths display can also be diagnosed as ADD, agoraphobia, bipolar disorder, or clinical depression,” says Caron. “Most doctors and counselors are not aware that empathy fatigue exists, much less how to treat it, but this intuitive overload is a very real problem to energy-sensitive people.” Caron is the author of Raising Intuitive Children and Kids Who See Ghosts - Guide Them Through Their Fears . 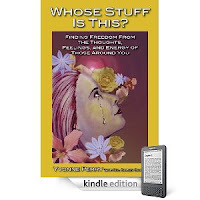 “Yvonne Perry's book thoroughly explains the process of being an empath in today's world. She provides cognitive, emotional, physical, energetic, and spiritual explanations for the origin of deep empathy, while sharing her own amazing story and the stories of others,” says transformational coach Gini Grey. “This book offers an array of powerful techniques to help empathic people create healthy boundaries, stay balanced, and release other people's energy and emotions from their personal space. This book is a must read for anyone and everyone who is sensitive to the thoughts, moods and problems of those around them.” Gini is the author of FROM CHAOS TO CALM: How to Shift Unhealthy Stress Patterns and Create Your Own Balance in Life. If you are empathic (energy sensitive) enough to know when a loved one is communicating with you from the afterlife, you are probably sensitive to a lot more environmental energy than you realize. My new book, Whose Stuff Is This? Finding Freedom from the Thoughts, Feelings,and Energy of Those Around You, is for people who are adversely affected by detrimental energy. With more than two dozen proven and effective ways to clear your energy field, this guidebook employs empowering, proactive techniques to manage your own energy. With a chapter on the psychology of empathy by Dr. Caron Goode, this book presents the personal story of how I learned to psychically protect myself. I will be on tour during the months of February and March to let others know about this book. You are welcome to join me as I post informative articles and videos about intuition, empathy fatigue, energy overload, setting boundaries with entities, developing your intuition, the influence ghosts have upon human emotions, how to make the voices stop, the psychology of empathy, what to do if there’s a ghost in your house, and several question and answer sessions with me.